As good as other casebooks. Lengthy (details) and never highlight "important" stuff . What is not important? Skipping the fine prints is never a good idea. 1700 pages is pretty routine. 4-star because I can't say it's the best. It is the best FDCA case book I have so far (not planning to read another). To use this 4.5 kg book to understand cGMP, NDA etc is probably impractical, if you need those info for "practical" reasons. Why would you want to know FDA started from a small office? Or, what the "Congress" wanted or intended, like 20 years ago? If your questions are "how do I get this done", "what should I/shouldn't I do"there are those 300-pages A5 sized book that encapsulate all topics. Those books would high light the landmark cases and explain concisely what thou must/must not. The FDA website provides plenty of up to date info. However, reading this Food and Drug Law would give you a whole picture of FDA and FDCA; and the frequency of you saying "what? That's ridiculous" would be reduced. Sometimes people tell that they've found a loop hole, not knowing that each word is clearly defined. If you are taking a class for regulatory purpose and hence using this book, get a 300-page all-you-need-to-know book and note the cases that are mentioned - those are usually the landmark cases. Pay attention to the ramifications and the arguments. Those in regulatory should get one. It will reduce the chances of a company getting a warning letter. Like Chris C, i found the book waaay too wrapped up in the history.And hard to read.The writing on the page just doesn't convey knowledge well.You will read through a LOT of info, and then read over the 2 most critical/important points without realizing their significance at all, because they are not highlighted by the authors.You will get 50-page assignments for class (yes, the text is smaller and the pages are bigger than a normal textbook), which was freakin 50 pages because the book is sooo tedious and throws out the critical bits of information here and there scattered. This is not just a textbook. It is a tome of Hutt's knowledge.Knowledge you'll wish your glazed eyes never had to be dragged over. We've had so many good times, but our history is no excuse for these mind games: you constantly tease me with some hot FDA action that never seems to go anywhere. It's always the same: first you show a little leg and whisper something dirty about a cGMP proposal from 1976. You throw yourself at me with some sexytalk about each FDA proposal on the subject for the next 20 years. By the time I'm really getting into it, you quickly tell me that the FDA completely gave up on all these proposals in 2007 and rush out my door. 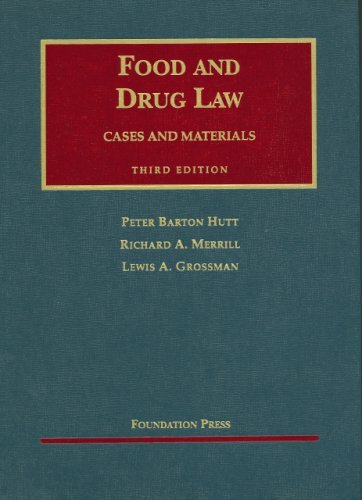 Why do you play these games with my heart, Food and Drug Law textbook?I spend nearly every night with you, in hopes that you'll explain yourself. But you keep torturing me, for nearly 1000 of your 1700 pages. All I want to know is why all these 20-page descriptions of ancient FDA actions are important IF THEY NEVER BECAME FDA POLICY. But you will not share your innermost secrets, and I'm left to weep on my pillow each night. Oh, you probably think it's real fun to lead guys on, knowing that they'll keep coming back to take endless notes that mean nothing in the end. Well I cannot live like this: I must know why all these 20-page accounts of pointless FDA actions matter. Let me in -- I want to be a part of your life. If not, I will give up on trying to decipher the meaning behind the endless, cryptic accounts of your agency. They always seem to go no where, much like us. 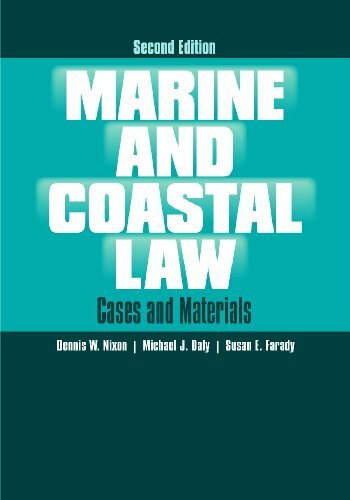 This extensively updated and enhanced new edition of author Dennis Nixon's classic casebook provides advanced undergraduates, graduate students, and law students in courses in marine affairs and law with an essential grounding in the leading legal decisions and statutory provisions in U.S. marine and coastal law. Cases have been selected for their legal clarity, interesting factual background, doctrinal and precedential importance, and applicability to emerging areas of litigation, maritime affairs, and coastal management. 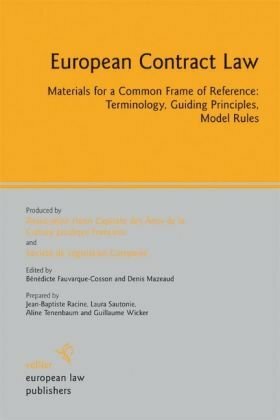 This rapidly evolving and contentious area of the law has seen a steady stream of landmark decisions and legislation in the years since the publication of the first edition of Marine and Coastal Law: Cases and Materials. 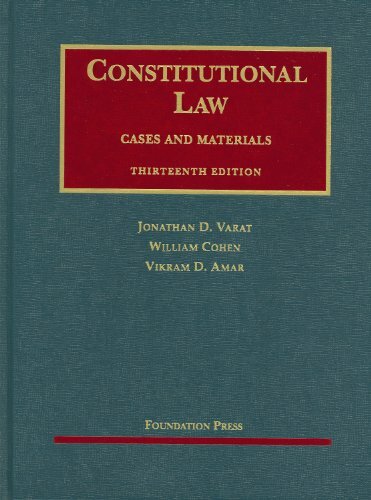 The second edition is updated with 25 percent new post-1994 landmark case material and is enhanced with valuable new pedagogic features, including editorial commentary for all cases, examples to support study questions after each case, and chapter introductions. The enhancements benefit from the expertise of two new coauthors. I received this item in less than a week and it was around the holidays. Book is in great used condition, great price also. 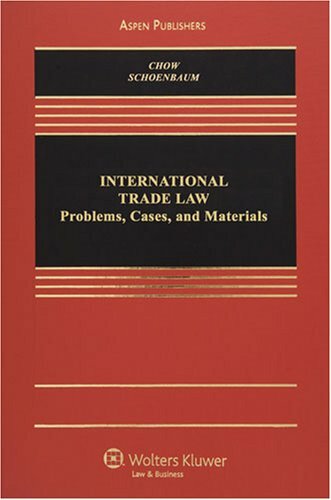 International Trade Law: Problems, Cases, and Materials is written by the authors of the eminently teachable International Business Transactions: Problems, Cases, and Materials, which has been carefully designed for ease of use. 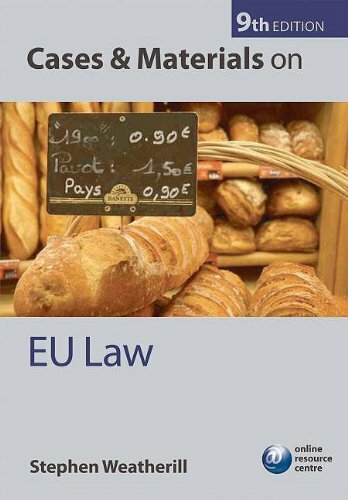 Focusing on the World Trade Organization's multilateral trading system and its implementation in the United States, this comprehensive casebook also covers, in a less extensive fashion, the WTO's implementation in the European Union. 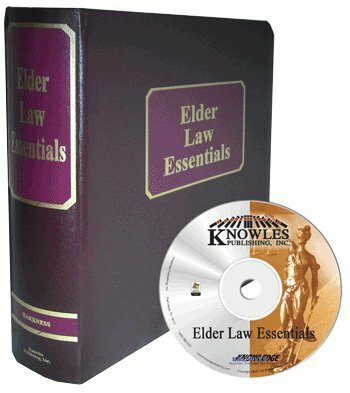 Supplementation of text and cases with statutory materials as appropriate. 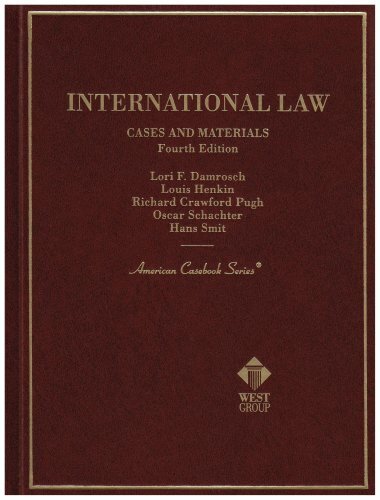 I had the opportunity to use this textbook several years ago, and found it to be very helpful, and not too heavy on the philosophical faddism found in some other materials on international law.I also had Professor Damrosch as my professor for the course, and found her to be a very good teacher. 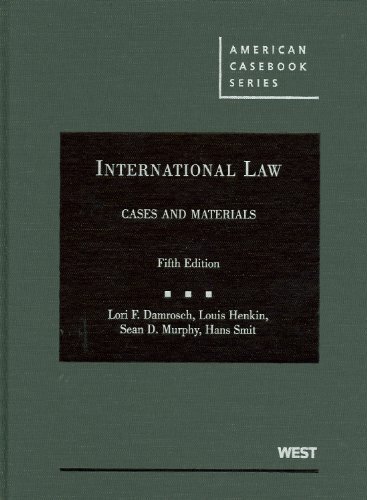 International law has taken on new importance in the post-9-11 world, and even non-law students are becoming interested in this critical topic.For example, this book will help you understand why the concept of "imminent threat" is so important in international law.See The Caroline Case (1837) 2 Moore 409. The reviewer below critiques the editing of the fifth edition.I must admit that I read the fourth edition, and not the fifth.So his criticisms may have merit. As a general rule, I don't bother to review the casebooks I've been assigned to read (since it's not as though I buy them by choice). But this particular volume was so poorly done that I thought it worth a mention. Though its bulk is admittedly stunning (I would conservatively estimate its weight at eighty-four pounds), the 1,680-page casebook is frustratingly shallow in clarity and cohesiveness, and as sloppily edited as any written material I've recently encountered: cases are referred to by different names on different pages; citations are inconsistent; and the general tone is as obtuse as anything I've read since first-semester Contracts. I mean no offense to the authors, and I bear them no ill will. 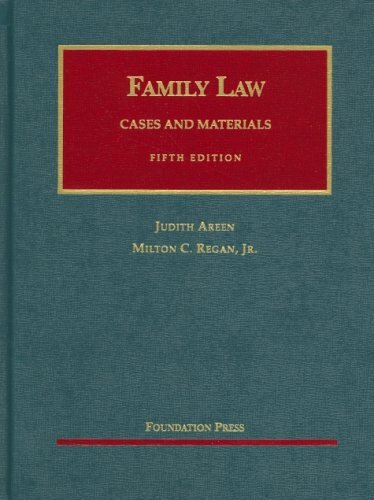 But they have together managed to produce the worst casebook that I have encountered as a law student.